This multi-chain series will add a touch of sophisticated glamour to any outfit. 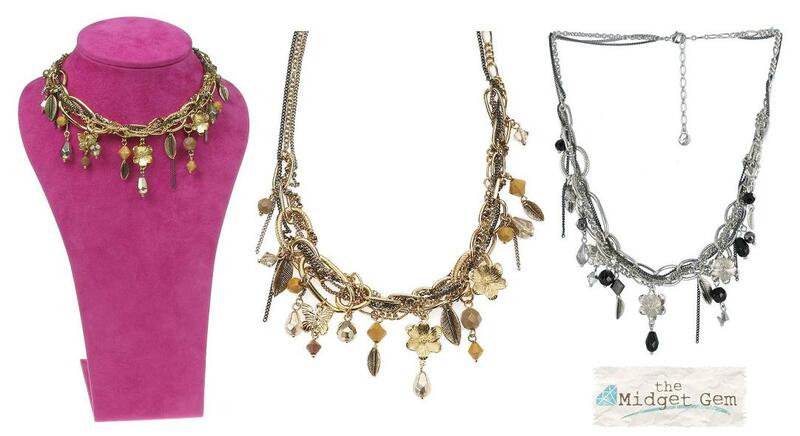 It mixes three precious metal plates with textures and interwoven chains, flowers, butterflies and leaves. This series is both feminine and edgy. Available in gold plate/beige/browns and rhodium silver plate/black/grey. Multi-strand charm bracelet. Three tone plate. A mix of chain designs interwoven with a mix of flowers, butterflies, leaves, faceted glass beads and Swarovski crystal beads. Beads/charms measure from 5mm up to 1.5cm/15mm. The longest drop measures 3cm/30mm. Adjustable length 19cm/7.5 inches to 23cm/9 inches. Multi-strand necklace. 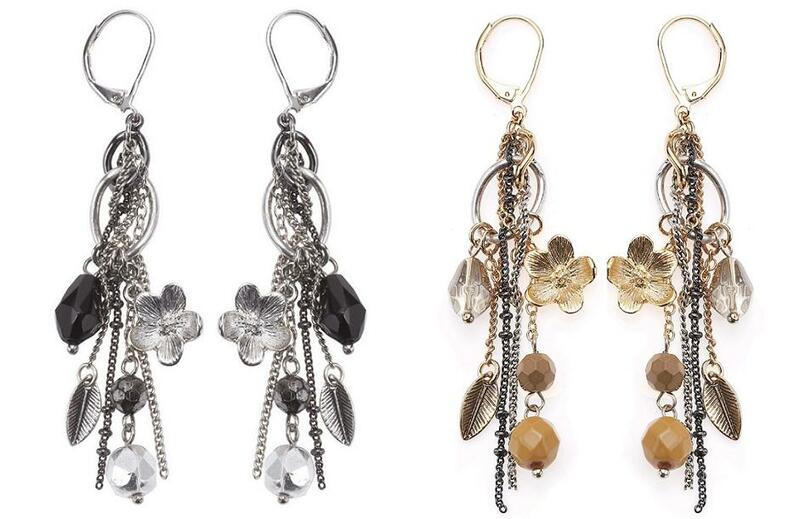 Featuring chains in various styles, in three tone plating and designs interwoven with a mix of flowers; butterflies; leaves and faceted glass and Swarovski crystal beads. Beads/charms measure 5mm up to 1.5cm/15mm. Adjustable length 40cm/16 inches to 48 cm/19 inches. Multi-strand earrings. Three tone plating. Various leaf and flower charms. Beads/charms measure 5mm up to 1cm/10mm. Total length 8cm/3.25 inches. French clip fastner for pierced ears.